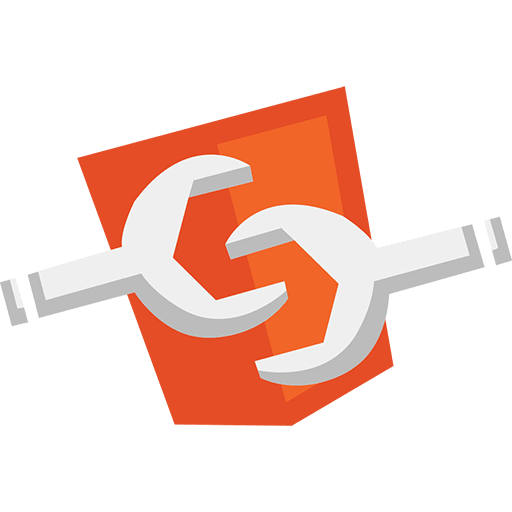 I will cover in this short article how to create automated unit-tests for your web components of any stack (i.e. 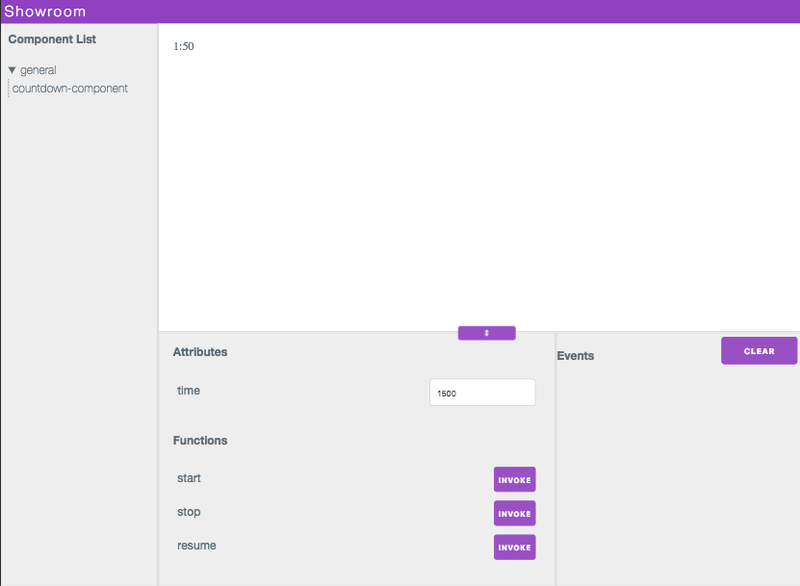 Lit-Element, Slim.js, Stencil, Polymer…) in one simple utility. 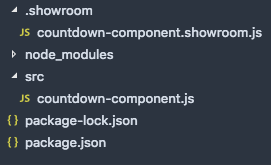 Showroom was built to provide a DDD/TDD platform for web components, as an alternative to Storybook that works well with React/Vue/Angular but does not work out of the box with native components and you have to find plugins for each library, and still, it will not cover the whole API. Add .showroom folder in your project, where the component descriptor files would be. We have some basic folder structure, let’s start writing DDD/TDD with showroom. 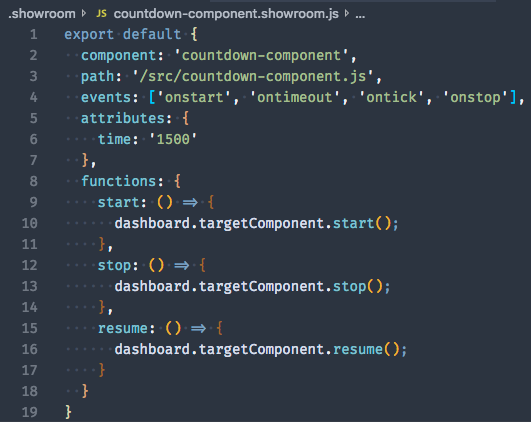 Our demo countdown-component is a simple timer that has a start/stop/resume functions, receiving time as an attribute and expected to dispatch the following events: onstart, onstop, ontimeout, ontick. On the left hand side we can see the list of components described in .showroom files. Clicking on a component from the list will display it on the rendering section. Attributes & Properties can be edited in the dashboard section (bottom-left) and functions can be triggered. On the right-side of the dashboard we can see all the dispatched events. This helps us to work on the component completely isolated from the application, and run automated tests. 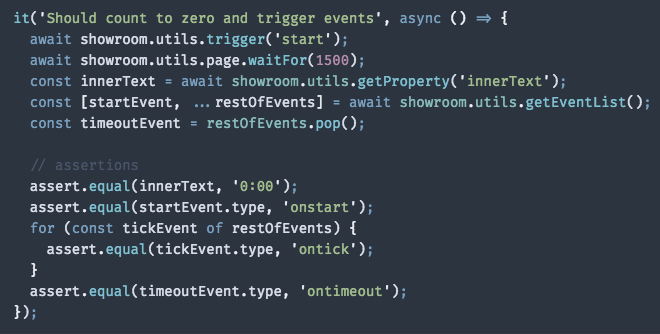 In the following example, our automated test will focus on the triggered events when and final result after invoking the “start” function. 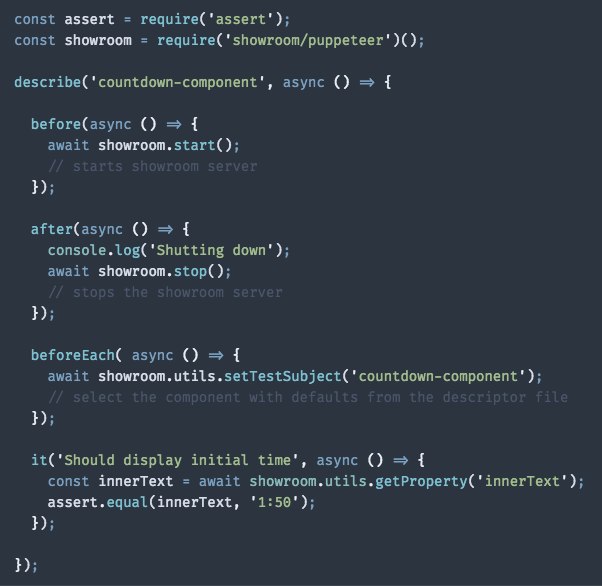 Showroom provides a lightweight alternative that integrates with puppeteer and exposes the custom elements API out of the box, with near-zero configuration. You can see a live demo of showroom (with multiple libraries of custom elements), though it will be better if you try it yourself. Married, Father of three. Works as a software consultant. Web-standards evangelist.